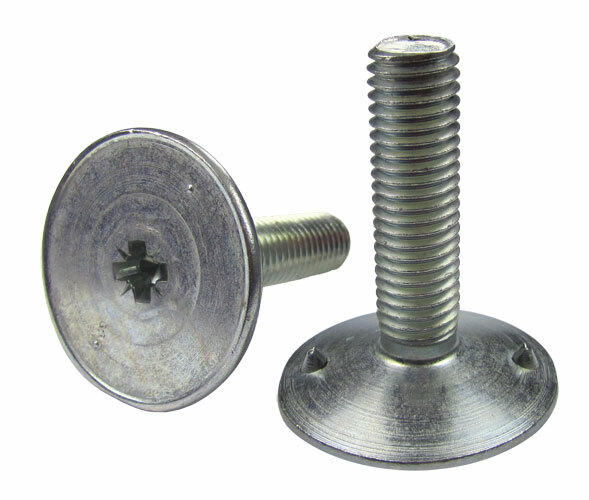 Euro DIN 15237 elevator bolts have a concave head and two lugs on the underside to help prevent rotation when tightening. 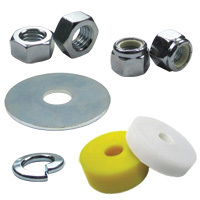 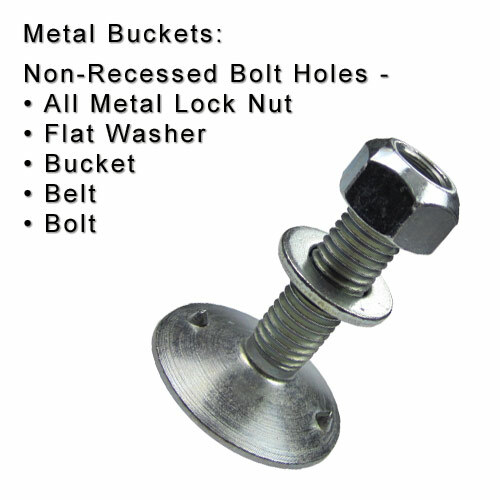 Popular throughout Europe for the last 30 years, this fastening system is intended for the attachment of pressed steel elevator buckets incorporating recessed bolt holes. 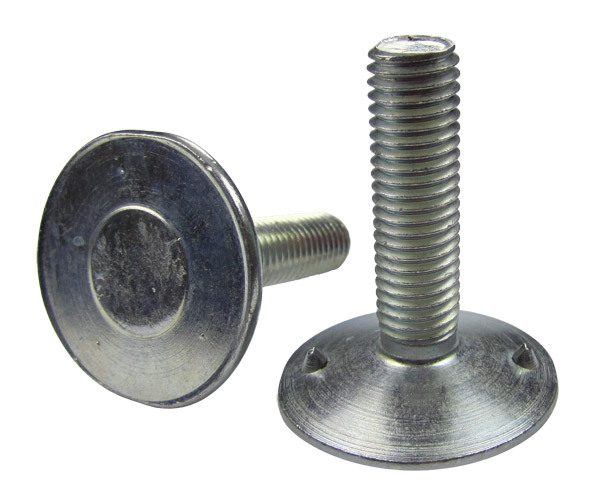 The recessed area surrounding the bolt hole is intended to accommodate the similarly domed surface under the bolt head. 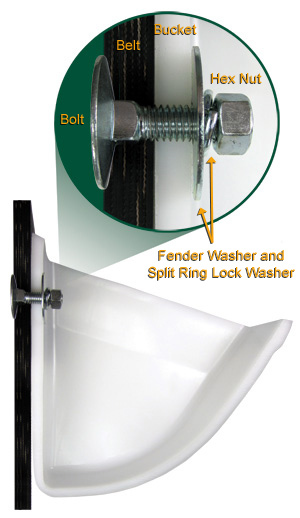 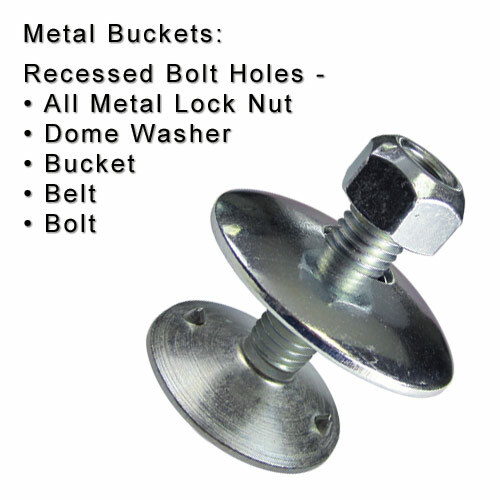 Because of this domed area under the bolt head, these bolts are not recommended for flat back plastic buckets, especially on thinner belts.